Any experienced Search Engine Optimization professional will tell you that, these days, web content is the name of the game. Google wants to see well written, keyword optimized, and relevant content on your website - the best content for its users. SEO copywriters will tell you that this can be an arduous task. Coming across as engaging while not overwhelming a site visitor is a balancing act; furnish too much to SEO and you may lose the true message of your page, put too much priority on copywriting and you may miss out on prized search engine rankings, straight away losing a significant portion of your audience. Initial keyword research is going to be your starting point in the optimization process no matter what your product or service. From a copywriting perspective, the content on your page needs to be highly relevant to the target keyword for optimization. 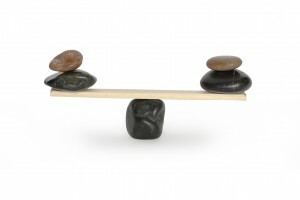 Here we engage in that balancing act of SEO content and user experience. The best copywriters have a way of entwining the targeted keywords within the 200-400 words on the page. If the keyword isn’t used naturally within the body content of the page, then the page loses SEO credibility. Great search engine optimization starts with the marriage of keyword research and copywriting. Now, what happens if there is an extremely high trafficked keyword that is not grammatically correct? Take the word restaurant for example. It’s baffling that SEO research shows this word spelled almost as much incorrectly as correctly. Do we as SEO copywriters break the golden rule of keeping impeccable grammar and actually slip in some misspellings? Reconciling this creates a challenge for SEO content writers, who risk damaging either their SEO or their reputation for writing content that doesn’t sound as if someone has just hit copy and paste on a random mixture of words. The entire concept of writing for websites with SEO and conversion in mind is to be informative, to draw people in, and to give people reasons why your product or service can help them — sometimes all within set parameters of copy length. In instances like title tags for SEO, you are working within a very clearly defined set amount of characters, typically 70 characters or less. The interaction of text and keywords makes the restriction even greater, you have to stay within a character limit and not overuse one keyword. Many inexperienced SEO copywriters will sacrifice the true meaning of the text in order to squeeze in as many keywords as they can, which will do more damage to their SEO goals. Not only will this practice effect SEO negatively, it will also create content that does not come across natural to the readers. This again is another huge search engine optimization faux paus. All of this is what creates the sometimes frustrating balancing act between SEO and copywriting. Once a page is created completely, only time will tell if the optimization goals are met.